So I was trying to find some wine-related info about Breaking Bad, which ends tonight, but it’s way more of a drug and beer show. We’ll leave the liquids to Mad Men, and become Hopsfriend for a day to detail two interesting Breaking Bad beer facts! First, Marble Brewery made two commemorative beers for the series’ final season. Marble is based in Albuquerque, New Mexico, where the show takes place and is filmed, so the beer has made it onto the show a few times and some of the cast have been to the brewery for drinks after a day of filming. 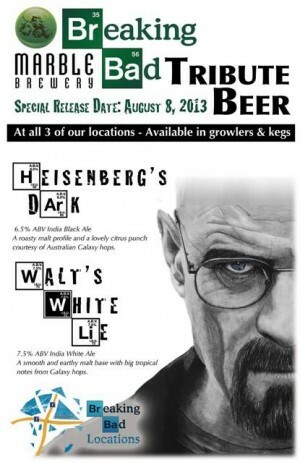 They made two 30-barrel batches of Heisenberg’s Dark, a black IPA named after Walter White’s meth-making alter-ego, and Walt’s White Lie, a white IPA. IPA is short for India Pale Ale, which has more hops (which is what gives a beer its flavor) and alcohol (originally used to preserve it on long overseas trips) than other beers. 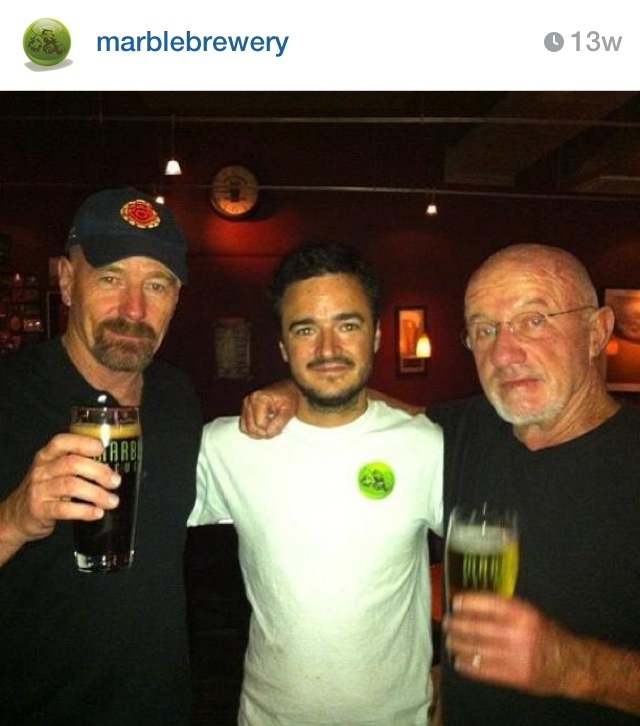 Marble’s Breaking Bad beers have been available on draft at their three tap rooms. Beer fact #2: Smuttynose made an appearance last week when Walt was hiding out in New Hampshire. You just saw some logos and tap markers of the New Hampshire-brewed beer in a scene with Bryan Cranston, but people started texting the Smuttynose guys. They already knew since the Breaking Bad producers had called them about it, but they were sworn to secrecy. Their VP of sales then sent some beer to the set and apparently everyone liked it. Cranston even went back to get some more but it was all drunk already, so Smuttynose shipped more just for him. Cranston and a few other actors thanked them with some autographed tap markers. Tags: beer, breaking bad, craft beer, ipa, wine. Bookmark the permalink. Previous post ← happy gamay happy hour! 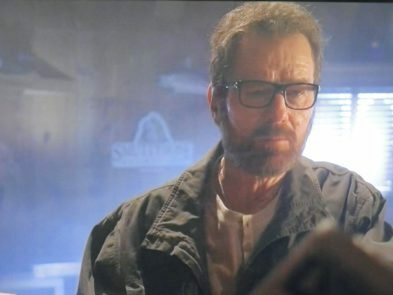 Love the Breaking Bad connection – well done!